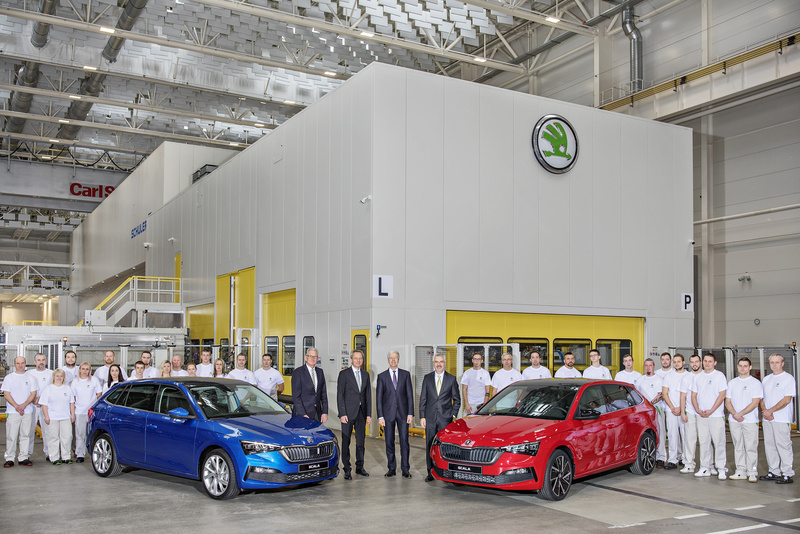 Mladá Boleslav, 7 February 2019 – The first ŠKODA SCALA has rolled off the production line at ŠKODA AUTO’s main plant in Mladá Boleslav. 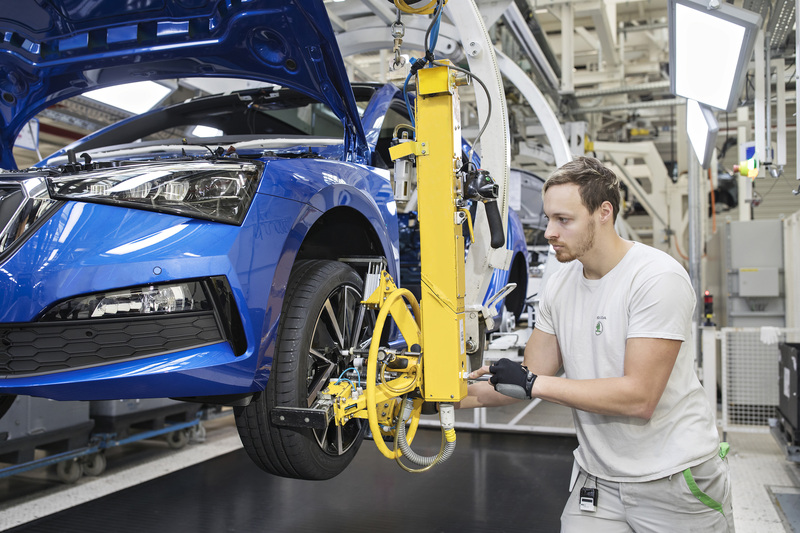 With the start of production of the all-new compact car, a new technological chapter has begun for the Czech car manufacturer: the ŠKODA SCALA is the brand’s first model to be based on Volkswagen Group’s MQB-A0 platform. Customers can currently choose between four engine variants: three petrol engines and a TDI. A fifth variant, a CNG version powered by natural gas, will follow later this year. The power outputs range from 66 kW (90 PS) to 110 kW (150 PS). They all come with turbocharging as well as direct injection and fulfil the Euro 6d-TEMP emissions standard. They are also equipped with Stop/Start and brake energy recovery technology. The entry-level versions will go on sale in the second quarter of 2019. The SCALA is the brand’s first European model to feature ‘ŠKODA’ in block lettering on the tailgate. 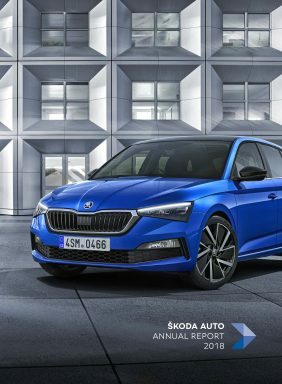 Further information, press texts, infographics, footage and photos of ŠKODA SCALA are available in the interactive press kit at ŠKODA Storyboard.